With just two days left for the Grandest Stage of Them All, the WWE Universe is eagerly waiting for Sunday. The stage is set for the biggest wrestling carnival of the year as all the matches are ready for the Show of Shows. WrestleMania 35 will be held at Metlife Stadium in New Jersey. The stadium also hosted WrestleMania 29 which was a spectacular show. 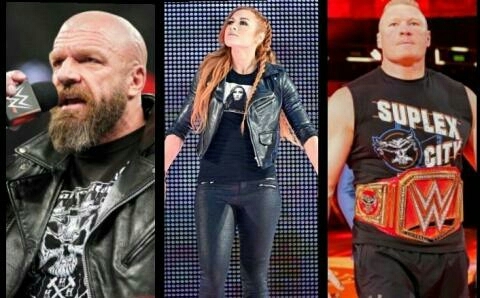 Women will main-event the Showcase of Immortals for the first time in WWE history as Charlotte Flair, Becky Lynch, and Ronda Rousey will lock horns, while Seth Rollins will take on the Universal Champion, Brock Lesnar. Daniel Bryan will put the WWE world title on the line against Kofi Kingston. Moreover, all the other titles from RAW and SmackDown Live will be defended in New Jersey. The elation will be sky-high for some non-title bouts as Drew McIntyre and Roman Reigns will tussle, while AJ Styles and Randy Orton will fight to prove their supremacy on the blue brand. Batista will return to the squared circle after five years as he will fight Triple H. The Miz will take on Shane McMahon after the latter turned on Miz at Fastlane. We witness unforeseen surprises in every WrestleMania, and it should not be different this year. Here we discuss four shockers WWE could be planning for Sunday. It is a damn shame that John Cena, who is one of the biggest superstars of the modern era, is not scheduled to fight at WrestleMania 35. The sixteen-time WWE World Champion has been an integral part of every WrestleMania, and he might make an appearance at the Show of Shows. However, it will be interesting to see if he will get a match at Metlife Stadium. Cena returned to WWE in January, and he was set to participate in the Royal Rumble match. 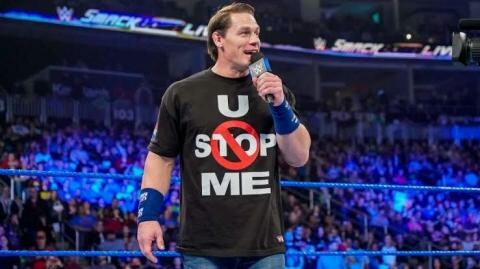 The Leader of Cenation had fierce segments with Drew McIntyre, but Cena got sidelined due to an injury. Considering his promos with McIntyre, the Scottish Psychopath could have faced Cena at the Show of Shows, but McIntyre is set to face Roman Reigns on Sunday. Cena's appearance could be a big boost at WrestleMania 35. Many people speculated that Cena might face Kurt Angle in his retirement match, but the Olympic Gold medalist is facing Baron Corbin. Nevertheless, the match is still possible if Vince McMahon's billion dollar company makes a last minute change, or Angle might call out Cena after squashing Corbin. Batista shocked the WWE Universe when he attacked Ric Flair on his 70th birthday party. The Animal appeared on WWE TV after five years, but he certainly made a gigantic statement. The six-time WWE Champion called out Triple H and started the feud. 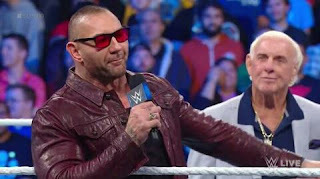 There is no denying that the rivalry between Triple H and Batista has been astounding and the two legendary superstars might produce an impressive bout. The feud has garnered plenty of attention as it is a No Holds Barred match and the Game will put his career on the line. It is not the first time the two men will lock horns at the Grandest Stage of Them All. They main-evented WrestleMania 21 where Batista overpowered Triple H. Therefore, Triple H will be seeking redemption after fourteen years. Considering Triple H's track record, he goes to any extent to win a match, and he might take the assistance of 'the Dirtiest Player in the Game' Ric Flair, who was assaulted by Batista. Seth Rollins will be up for the biggest match of his WWE career when he faces the Universal Champion, Brock Lesnar. The match was confirmed after Rollins decided to chase the most coveted prize of the red brand at the Showcase of Immortals. Slaying the Beast Incarnate is not an easy job, but Rollins might achieve this feat at Metlife Stadium. Lesnar dominated Rollins in this rivalry as he delivered six F-5s to Rollins on the RAW after Royal Rumble. It suggested that Rollins has a mountain climb at the Grandest Stage of Them All. However, Rollins stood tall on RAW this week, but the challenger took a short cut to take down the Beast Incarnate. A victory for Rollins could be delightful, and we might see a full-time Universal Champion. Considering the action of Rollins on RAW this week, he might take an easy way to beat Lesnar. Roman Reigns might come out to help his former Shield-brother, and it could allow Rollins to slay the Beast. Since Reigns had a long history with Lesnar, he could be an ideal candidate to get involved in this match at the Show of Shows. Moreover, Lesnar could maintain his stature if he loses the match by an interference. The main event of WrestleMania 35 is expected to steal the show at the Grandest Stage of Them All. Stephanie McMahon already announced this week that the winner of the triple threat match will take home both the SmackDown Women's Title and the RAW Women's Title. Vince Mahon. 's billion dollar company has been building this feud for months. Initially, the feud was between Becky Lynch and Ronda Rousey, but Charlotte Flair's addition made it more interesting. However, Lynch and Rousey have been the focal point of this feud as the two women attacked each other several times. Furthermore, they also fought on social media. Without a shadow of a doubt, the fans have been behind Lynch from the beginning of this rivalry. As a result, she is a favorite candidate to win the two titles as Rousey might take a break after WrestleMania. However, the eight-time Women's Champion and the current SmackDown Women's Champion, Charlotte Flair, cannot be ruled out. 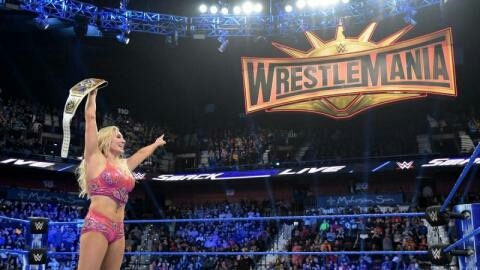 The Queen surprised everyone when she won the most coveted women's title of the blue brand last week, and she could make history by winning the main event of WrestleMania on Sunday.